Four words spoken by a Jesus that was immovable. A fear that in fact was so deep and so moving that they ran down to wake a sleeping Jesus who seems all but indifferent. “Jesus! You have to wake up! It’s awful!” The disciples called to a Lamb so worthy that even in a sea that Matthew could only describe as seimos – He was unshakable. We use that word to this day, you know. It is the place we turn when the ground beneath us shakes, when foundations we once thought firm are broke open, hot and messy, threatening to swallow us whole. They needed their Jesus and they needed Him fast. 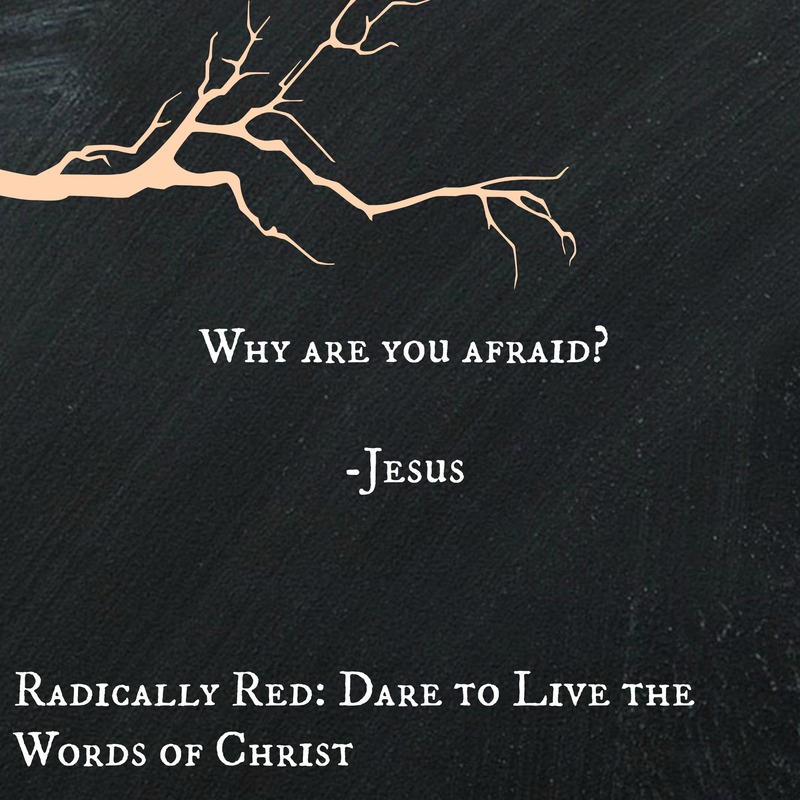 “Why are you afraid?” Jesus says. It wasn’t the response they expected. They had hoped for sympathy. Yet as the seas trembled, they shook and as they shook… Jesus was unmoved. The Hill of Calvary that marked the death of our Savior… and the gravesite of a risen Jesus whose stone was rolled away. The shaking of our lives is all rolled up into a trinity of victory over sin, victory over death… victory over fear. Is something in your life seimos right now? I don’t know about you but I want more unmovable in my life. I need more unshakable. I want to wake Him in the middle of the night to find even when I tremble He is not moved. He was peace be still. And we chosen few have been invited into His boat to witness it. To find He really, really IS I AM. What a blessing it is to know the One who calms the seas. What a gift it is to know that even when we tremble, in spite of and maybe because of the seimos moments in our world, we have the sheer and utter satisfaction that there is no tempest that He cannot calm. DAILY DARE: Pay close attention to shadows today. They cannot exist without the light and when they are confronted with it… they disappear. Think of how that relates to the seimos in your life today. Ask God to fill you with His light so you can stand firm against the shadows of life even when the earth trembles knowing your God is immovable. This entry was posted in Uncategorized and tagged authors, bible study, Bible verses, book clubs, books, Calvary, Christian, Christianity, church, church lessons, contests, devotionals, devotions, earthquake, Family, fear, freedom, giveaway, giveaways, God, health, inspiration, Jesus, JoinTheRedolution, ministry, missionaries, pastors, Photography, praise, prayer, Radically Red, reading, religion, renewal, resurrection, Victory, youth ministry. Bookmark the permalink.